Lynne’s experience includes both healthcare operating and investing roles over the past 16 years. 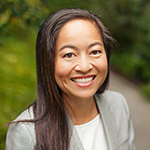 Before joining Kleiner Perkins, Lynne worked at Abbott Vascular and Guidant in multiple roles launching over ten interventional cardiology and cardiac surgery product families. Earlier in her career, Lynne worked at Apax Partners with a focus on software venture capital investing. In addition, Lynne worked at Goldman Sachs in the Mergers and Acquisitions group and worked on multiple multi-billion dollar acquisitions and sell side transactions. Lynne earned a B.S. in Industrial Engineering from Stanford University and an M.B.A. from Harvard Business School. Moderator at MedtechVision 2018 – Panel 3: Attracting and Retaining the Next Generation of Talent: With technology’s increasing role in medicine, how do traditional medtech organizations adapt?